Polyester Low Melt Yarn - - Products - Polyester hot melt, polyester hot fuse price, polyester thermal fuse effect, polyester hot fuse which strong, polyester hot fuse excellent suppliers, polyester hot melt characteristics, polyester hot fuse which is good - Jiangsu Konon New Material Co., Ltd.
Low melt yarn (also known as fusible bonding/adhesive filament yarn) is used for technical applications in the textile industry worldwide. These yarns are made from either low melt co-polyamide (nylon)or co-polyester (polyester). 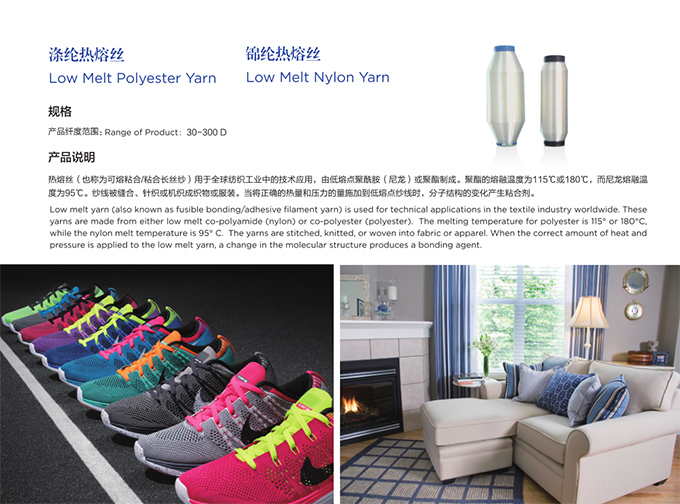 The melting temperature for polyester is 115° or 180°C, while the nylon melt temperature is 95° C. The yarns are stitched, knitted, or woven into fabric or apparel. When the correct amount of heat and、 pressure is applied to the low melt yarn,a change in the molecular structure produces a bonding agent. 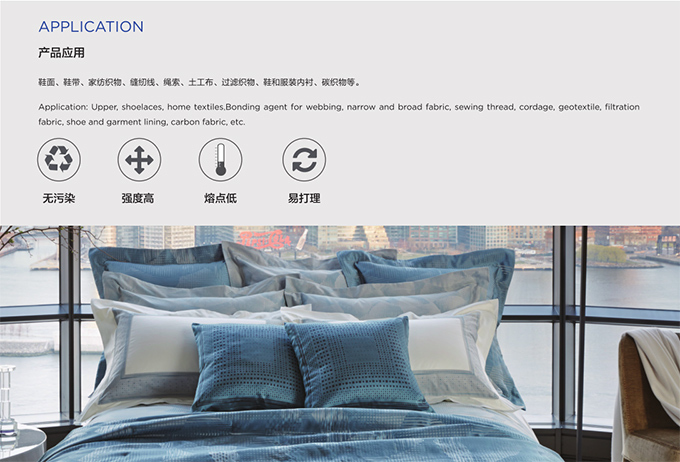 pressure is applied to the low melt yarn,a change in the molecular structure produces a bonding agent. 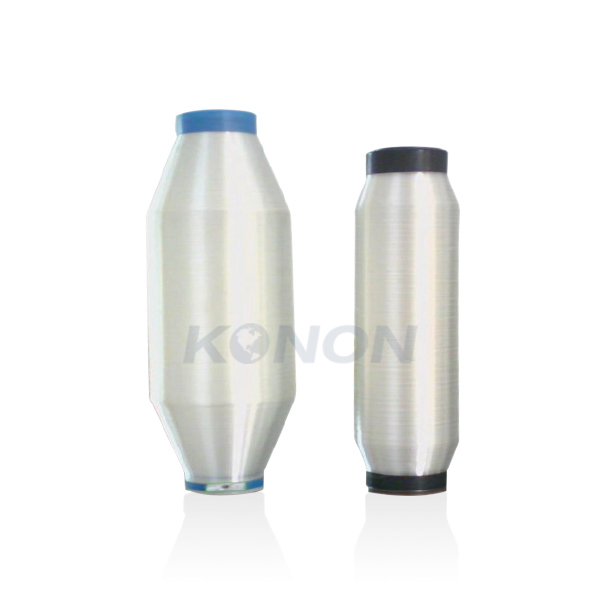 fabric, shoe and garment lining, carbon fabric, etc.